Sports cars please us with the speed, powerful engines, graceful design. Many companies began to use the current technologies, making sports cars, besides the properties set forth above also economic, giving us hopes that there will be no end to fast cars which we love. The top 10 list of the best hybrid cars, fuel savings using technology is represented to your attention. All these presented cars are already on sale, or will appear in the near future, or transfer the technologies to serial cars within next several years. So here we go, fastest hybrid models top list! Porsche 918 Spyder. 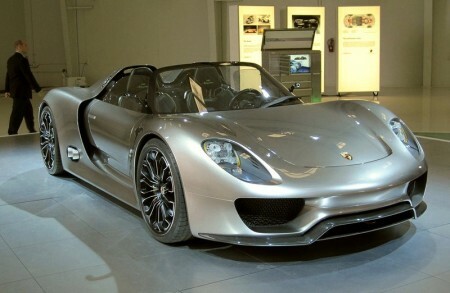 At number one in the list of ten best hybrid cars, the car in cost of $845,000 — Porsche 918 Spyder. For the first time this sport car is presented last year on a showroom in Geneva. By the German company on it is established limited on the manufacture, starting in 2013. 918 Spyder uses set of the technologies, which Porsche earlier developed for 911 GT3 R Hybrid. When the serial version a penalty debuts in 2013, 918 Spyder will be equipped with 500 strong motor V8 and two electric engines, on one in front and behind. The general capacity of all engines will be 718 h.p. Dispersal of 0-100 km/h occupies 3,1 with, and the maximum speed makes about 345 km/h. Porsche asserts that Spyder can pass on 1 liter of fuel about 35 km and if it is easy to count on 100 km of run at a hybrid sport car than 3 l of fuel leaves less. Impresses? So here it goes Porsche 918 Spyder goes at number one sport in our top list of 10 hybrid sport cars. 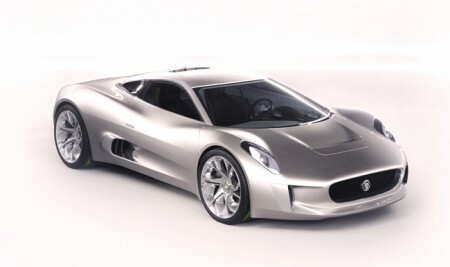 Jaguar C-X75. This concept car is revolutionary hybrid and it yet do not plan for a batch production. The car eats from four electric motors (on one on each wheel. Accumulators for those electro-motors eat from two mini-turbines which work on a diesel engine, however developers have gone further and in a case a swagger of major circumstances the car can work on vodka (!)). Total capacity of hybrid engine C-X75 is equal 780 h.p. and it suffices to disperse a hybrid to 100 km/h in 3,3 seconds. Jaguar management declares that С-X75 is capable to pass 120 km of a way only from a charge of one accumulators, and in the sum at a hybrid of a stock of a course on 945 km. 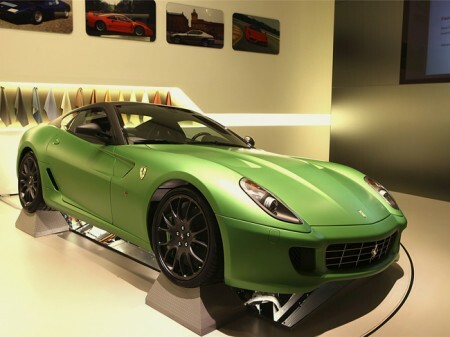 Ferrari 599 Hy-Kers.This futuristic hybrid beast debuted on a motor show in Geneva last year. It has the easy flat batteries which have been built in inside and is equipped with an electric motor, developed specially for Ferrari F1 Team. This electro-motor adds 100 h.p. to already 611 “horsies” V12 and allows 599 Hy-Kers to improve economy of fuel in a city where the majority of high-speed cars “suffer”, and also it raises productivity a penalty on a line. Ferrari says that the technological car 599 Hy-Kers can already go on sale in 2012. Porsche 911 GT3 R Hybrid. 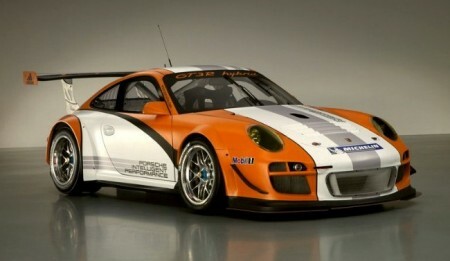 On the fourth line of the list a top 10 hybrid sports cars – Porsche 911 GT3 R Hybrid. It is a race model Porsche 911, which Porsche used to develop the hybrid technologies in racing conditions in connection with the big competition. 911 GT3 R Hybrid debuted as the racing car in Nürburgring and has in the arsenal the engine with 480 H.P., actuating back wheels, and two 80 kw of the electric motor transferring the moment on forward wheels. As a result total capacity of hybrid installation is equal 640 h.p. Especial this car does that in it there are no not what batteries because instead of them the flywheel reserving free kinetic energy which can be used the driver in the fullness of time is used. Audi e-tron Spyder. 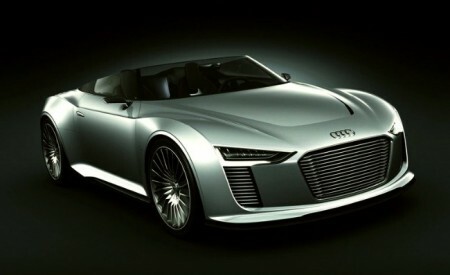 Audi e-tron Spyder is one of the best hybrid sport cars. This of penalties has been presented in 2010 on the Parisian motor show and is the fourth concept e-tron and the first in quality hybrid. E-tron Spyder it is equipped two turbine 3 l by diesel engine V6, and also two electric motors. Total capacity of hybrid installation is equal 388 h.p. Dispersal to hundred concept takes in 4,4 seconds. The maximum speed is limited 270 km/h. Audi says that e-tron Spyder can pass exclusively on electricity to draught of 55 km that in the sum gives 3 l of fuel on 100 km is rather impressive achievement. BMW i8 is one of the best hybrid sport cars. 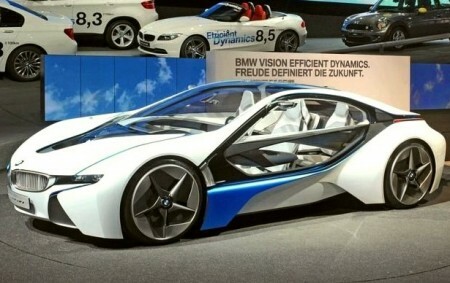 BMW i8 will be a leader of the Bavarian ruler “i” (or still as speak Vision EfficientDynamics) which release is planned for 2013. i8 400 Nanometers of a twisting moment giving out approximately and dispersing hybrid 0-100 km/h for 4 will be completed with an all-wheel drive and the hybrid installation, consisting of 3 cylinder diesel engines and two electro motors, with. The maximum speed in i8 is limited 270 km/h. As to fuel economy at i8 it makes 4 l on 100 km of run. Mercedes-Benz SLS AMG E-Cell was shown to the world on the Detroit auto show 2011 in the electrified yellow color. SLS AMG E-Cell is first attempt of company Mercedes-Benz to make an electromobile. For a basis was to take 563 strong engine V8 from SLS AMG and it is converted on a food from lithium-ionic of the accumulator of a high voltage that allowed the motor to have a mark in 525 h.p. and an instant twisting moment in 880 Nanometers. The threshold in 100 km/h E-Call overcomes in 4 seconds and the maximum speed while remains unknown to the public. A unique lack of an electromobile on which engineers of Mercedes-Benz now work, a cruising range – only 200 km. In manufacture SLS AMG E-Call arrives in the end of 2012 as model 2013. Tesla Roadster. Roadster Tesla was the first electromobile which showed to Americans that the electricity could be valid viable alternative of fuel. The first debut of Tesly took place in 2006, since then the car considerably improved In sports a mode a roadster can have 295 Nanometers of a twisting moment, and accessible already on start! On achievement of a mark of 100 km/h this hybrid car takes only 3,7 seconds. 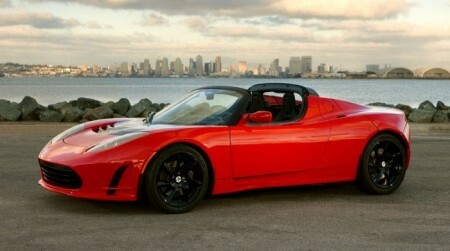 (In 2006 at a roadster – 3.9 seconds). The maximum speed is limited by electronics and does not exceed 200 km/h, however after limiter is turned off the car can reach a point and in 420 km/h (!). Cost of model from 109000 dollars in base stock version. Porsche Panamera S Hybrid. What can be to tell about Porsche Panamera about which already it has been told time and again? It is four door coupe with the sports spirit, attracting a sight and impressive indicators. 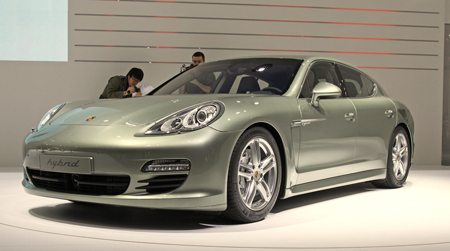 Panamera was it is announced in 2009 with the petrol motor and here came to make turn it also harmless to environment. This year Porsche exhausted Panamera S Hybrid, equipped with the combined installation from turbo charged 3.0 l of shape V6 and the electric motor, by total capacity in 380 h.p. It is dispersed super penalties from 0 to 100 for 5.7 with. Maximum by speed of a hatchback it is limited 290 km/h, the average expense less than 7 l on 100 km. Honda CR-Z – the spiritual successor legendary CRX which was small, dexterous and rather fast because it weighed absolutely a little that allowed to reduce the fuel expense to a minimum. 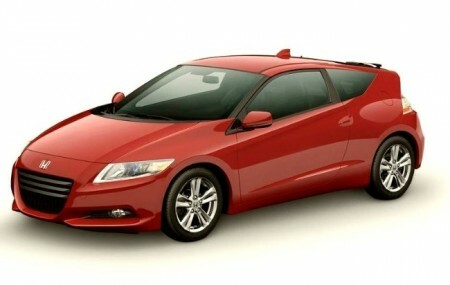 Now Honda aspired to develop that success with car CR-Z about 122 h.p. and 128 Nanometers of a twisting moment. There is a question how such the car can be classified a sports hybrid? For ruler CR-Z is a first hybrid which is completed with 6 step mechanical gear box. Besides, accumulator battery CR-Z is established in the chassis close to the earth, giving to the car the low center of gravity. Though CR-Z cannot be fast (0-100 km/h for 9), its swiftness, dexterity and pleasure from driving which it delivers, grants to it the right to enter into ten the best hybrid sports of cars. Fuel consumption on a city at the car makes 9 l on 100 km, on a line of 6,9 l on one hundred. We hope you enjoyed reading the list of the best hybrid cars whom main criteria of place in our list was the maximum speed, so all these cars are worth attention if you want to drive fast with nature friendly automobile.